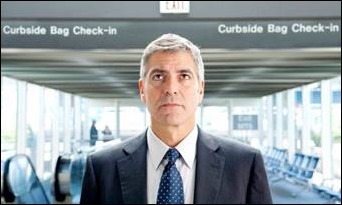 Unfortunately, George Clooney didn’t arrive on my doorstep to give me a pink slip as his character did so many times in “Up in the Air.” Instead, resigning from my hospital position was fairly anticlimactic. If you missed my previous post, here’s the short version. My hospital is migrating to a single platform EHR and I’ve been on the fence about taking a role on the new project vs. doing something else. I made my decision quite some time ago, but have been procrastinating actually writing about it. Readers have been asking whether I am opting for “fight or flight,” so I’m finally ready to let the cat out of the bag. I ultimately decided not to apply for a position in the new organization, primarily because of the way the transition was being handled. Not only for leadership, but for my staff. There were so many consultants in the mix that it wasn’t clear who was making the decisions or what the eventual structure would be. I couldn’t even tell who I might report to or who my boss would be in six months. Although it would have been tempting to jump into the fray and find something to make my own, I didn’t feel it was tenable. Apparently I wasn’t the only one thinking the same way – several of our best managers opted not to make the jump either. I could have stayed in my old role and helped turn the lights off on the old systems. I realized quickly, though, that my team was being gutted, not only by movement of key resources to the new project, but also by the departures of those who felt sticking around would be risky. There were no guarantees of employment in 18 months after the legacy systems shut down, so people grabbed opportunities as they came by. The prospect of trying to continue to roll out new physicians and support our existing users with an inexperienced staff didn’t excite me. Although I’ve resigned from jobs before, this was my first time resigning from one at this level. Once my decision was made, the next concern was what would happen once I handed over my letter. Would they walk me out or would I work out my notice period? I really wasn’t sure which way they would go and I wasn’t about to poll my colleagues. I’ve seen it happen both ways. On one hand, I didn’t see them with a reason to walk me out – I’ve been a loyal employee and a highly visible leader. On the other hand, I had access to all kinds of sensitive information, including upcoming physician acquisitions, strategic planning, and financial data. I couldn’t imagine having someone else pack up my things if they did show me the door. Even in our increasingly digital world, there’s a certain amount of “stuff” that accumulates over 10 years. While I was debating my decision, I did a fair amount of multitasking as I sorted files during conference calls and took home a laptop bag full of personal belongings here and there. I couldn’t take much off the shelves, though, since I didn’t want it to be obvious what might be going on. The weekend before I was ready to hand over the letter, I came in on Saturday and took all my personal belongings except the medical textbooks and the diplomas hanging on the wall. I figured HR could box those up and ship them, or if I had the dubious honor of doing the “pack your things while we watch” routine, there would be no question of what was mine vs. company property. It was probably an overkill approach, but you never know how it’s going to turn out when you’re dealing with a corporation. It’s not like I was leaving to go work for a competitor. I may have been the first executive who actually resigned to “pursue other opportunities” for real rather than as a euphemism for being terminated. Still, I was pretty nervous when I headed to meet my boss for our weekly one-on-one meeting with my letter tucked in a manila envelope. I knew he wouldn’t be surprised, but actually delivering it was another thing. He opened our meeting with his usual, “What’s on your list for today?” as expected, so I prepared to hand it over. Unfortunately, I was more nervous than I thought and my attempt to gracefully slide the letter across the table ended up being more flippant than intended. An image of an air hockey game popped into my head and I have no idea what my facial expression was, so he may have thought I’d finally gone off the deep end. He was actually pretty cool about the whole thing since we had been talking about my need to make a decision for some time and he was aware I had decided not to move to the new system team. I sensed a little disappointment as he said he hoped I’d stay to “hold things together” but understood the decision. The only real suspense was waiting for the answer after asking him what happens next. Apparently the topic of executive departures had been covered as part of project planning for the new system and I was on the “OK to stay” list. I have to say I was a little disappointed on some level at not being shown the door since having an extra month of paid vacation would have been nice. I had timed my notice so that I would depart with the other team members, thinking that would minimize the disruption since there would already be activities in place to reassign work, reorganize teams, and create new reporting structures. It turned out to be a good decision since I had a natural support structure of people to talk to as we went through the process. Even when leaving is voluntary, it’s still difficult, and even more so when you don’t necessarily have something you’re headed to. While they would be flying off to training after their last week on the team, I was headed towards a bit of a sabbatical while I burned through a decade of accumulated vacation and comp time. The last day was a bit teary all around, but overall the final month went better than expected. I’m not going to say how long I’ve been away from the hospital – Dr. Jayne’s timeline is fairly fluid and sometimes I don’t publish what I write until weeks or months after it happens to preserve anonymity and make sure it doesn’t come back at me. I know readers will ask what I’ve been up to. I didn’t want to relocate for another CMIO position, so it’s been an interesting combination of clinical work (both local and locum tenens) with a sprinkling of healthcare consulting. I’ve worked with nearly a dozen different EHRs, which gives me a perspective that I didn’t have before. I’ve been able to travel to cities I’d not normally visit and have had access to a stunning variety of office and health system dysfunction. Locum tenens work is not for the faint of heart – often the positions are opened to locums because they’re virtually non-fillable by traditional candidates. My plan was to lay low for at least six months while I figured out what to do with the rest of my life, but already some opportunities are on the horizon. One came knocking after I updated my LinkedIn profile – from an organization that had been interested in me for some time but thought I would never leave Big Health System. Another is an organization that is looking to hire their first physician IT expert. I’m not going to jump into anything just yet, but it’s nice to feel wanted. In the mean time, I’ll be adding stamps to my National Park Passport, collecting multiple state medical licenses, and seeing whether the grass is any greener on the EHRs used by other Eligible Providers. Please remember to be kind to drivers with out-of-state plates because one of them just might be me. Have a National Park recommendation? Email me. Congratulations! New horizons are exciting. I recommend Volcanoes National Park in Hawaii. The volcano is very active right now and you can see some amazing lava flows. http://www.nps.gov/state/hi/index.htm. Although, we won’t see your out of state plates! It was great to meet you in person at HIMSS and I wasn’t surprised to find a real-life thoughtful CMIO-type person behind the pseudonym. Your passion for getting the right things done – for the right reasons – comes through in your writing – but even more in person. People like you will always have many choices. Congratulations on your decision. Take your time. See the parks. Choose the perfect job. You deserve nothing less! Hands down–Glacier National Park–absolutely stunning. Only open for about 3 months a year, but it should open in June. Take Care and hope you land in a great place! In exchange: Do not overlook the state parks–they are less crowded! Drinks on me if you make it to Northen Michigan! Thanks everyone. @Jess Clifton – I hear Traverse City is where the fun is! First, as the “chief” you were responsible for what the new organization would look like. The consultants at some level reported to you. Your staff was ultimately your staff. Second, playing the victim here just means you weren’t a very good leader. It’s not surprising given you spend some of your time airing your organizations dirty laundry anonymously on the internet. You could have spent more time focused on taking care of your staff, creating a strategy and a plan for what the new organization would like, and retaining your “best” talent. Stronger leaders evidently prevailed. Third, it’s likely you became the product of the group you spent the most time with…. the bozo’s from the old EHR vendor. There is a reason your system is changing. It would have been valuable to figure out why. Was it the orders that didn’t match during a major upgrade (I assure you not telling critical members of that staff because they would get the “wrong impression” has serious implications)? Surely, clinical staff would notice if there were major errors in the previous system whereby orders were applied to the wrong patient. Was it the lack of education some of your VP hires had? Turns out that high school educated VP who is good friends with the vendor’s CEO just doesn’t get it done in the long term. In fact, even more costly in the long term. Were their serious issues with your Meaningful Use attestations? Did major Doctor groups (say your transplant docs) at your hospital demand to go a different direction due to impossible to understand workflows? Was the old EHR so bad it just simply needed to be “sunset-ted”? Spending too much time drinking the wrong kool-aid is detrimental to your health. Fourth, this is a typical situation of Dr. leadership. It turns out medical schools don’t produce leaders, they produce figure heads. I’d recommend brushing up on those old MBA texts (if you’re at a big hospital I’d guess Wharton). When your role stopped being one of a figure head, consultants came in. Decisions needed to be made. Organizations needed to be structured. Goals (real goals not those ones where staff just change them a couple weeks before the due date at the end of the year to match what they’ve been working on for the year) and priorities have be decided and set. Items more than just capacity had to be planned. Also, tough decisions about which staff to keep and which to let go had to made. All fell in the purview of the CMIO at some level. Instead of taking charge and changing the world, you took the Dr’s route of letting others make the critical decisions for you. Ultimately, you had a lot more control in this situation than you want to admit to yourself. You chose your path. Rather than fixing the treatment of your staff, you chose the easy way out. Let’s walk through a simple example. Say you demanded change for how your staff was treated? What’s the worst that could happen? What are they going to let you go? …. [silence ****** appears you already let yourself go]. You might be able to argue reputational risk. The reality is being pushed out of a major change like that damages your credibility in the industry. This reminds me of a story of a consultant friend of mine. He worked at a pretty dishonest organization [think Enron of health care]. He worked a lot and did a reasonable job on a difficult project. During go-live, the organization terminates him as they got what they needed out of him. In fact before even telling him the organization sent out a damaging e-mail to vendors he worked with. What does he do? He could wallow anonymously on a blog or he could roll up his sleeves and build a product. Next, his product explodes in sales. Consulting firms and CEOs now pay him to adjust and setup their strategies. His income rises well in excess 50+%. A quick un-expected job loss in this economy might destroy many, but people who get it done are a premium in this economy. The point for you Dr. Jayne is that many people can see the problems, but far fewer have the guts, grit, and determination to make tough difficult decisions. Most people wallow. Don’t be a wallow-er.